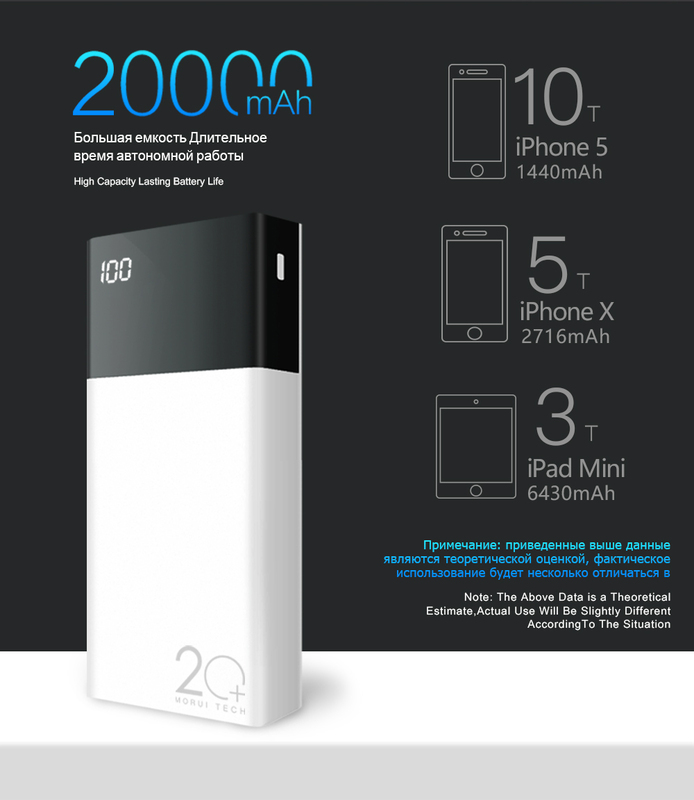 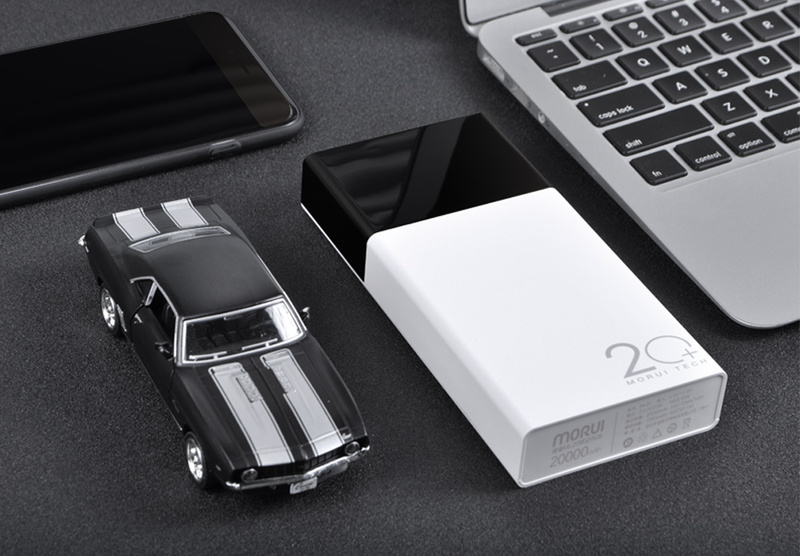 20000mAh Morui ML20 Power Bank offers five iPhone X charges or three iPad Mini charges, so that you can have more fun without plugging them into the wall. 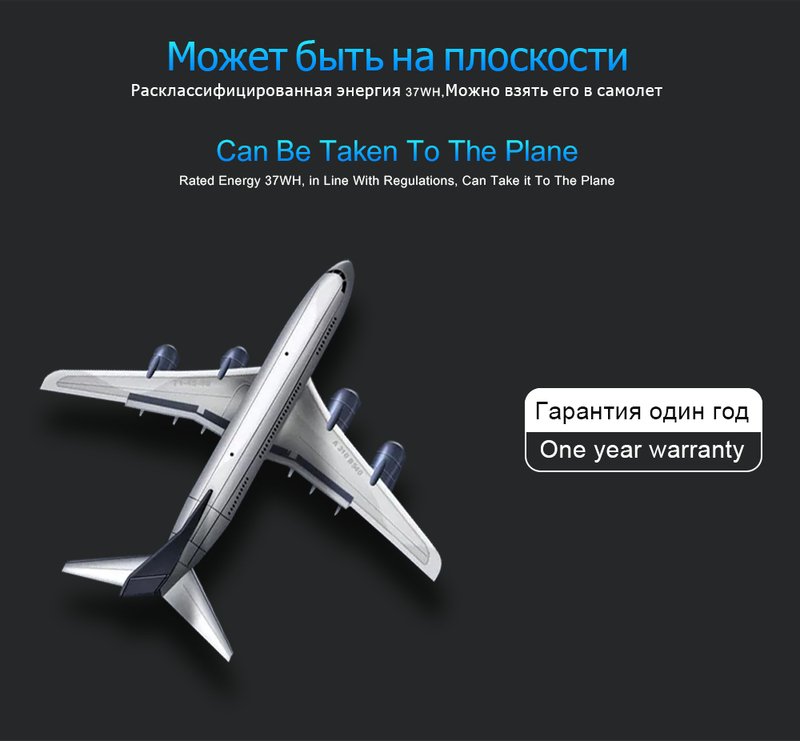 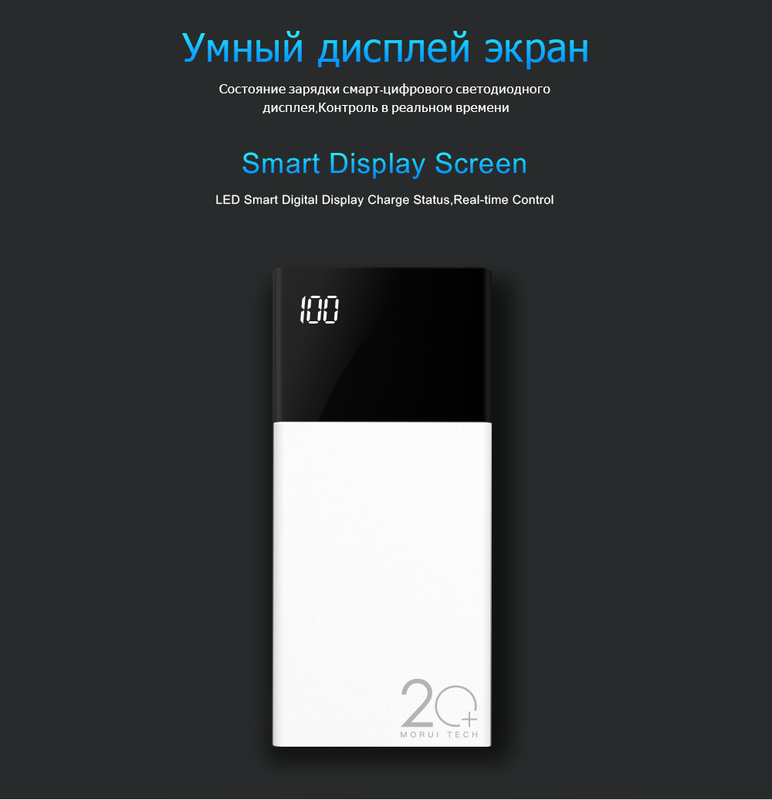 Percentage of the capacity displayed on the LED screen reminds you of the usage. 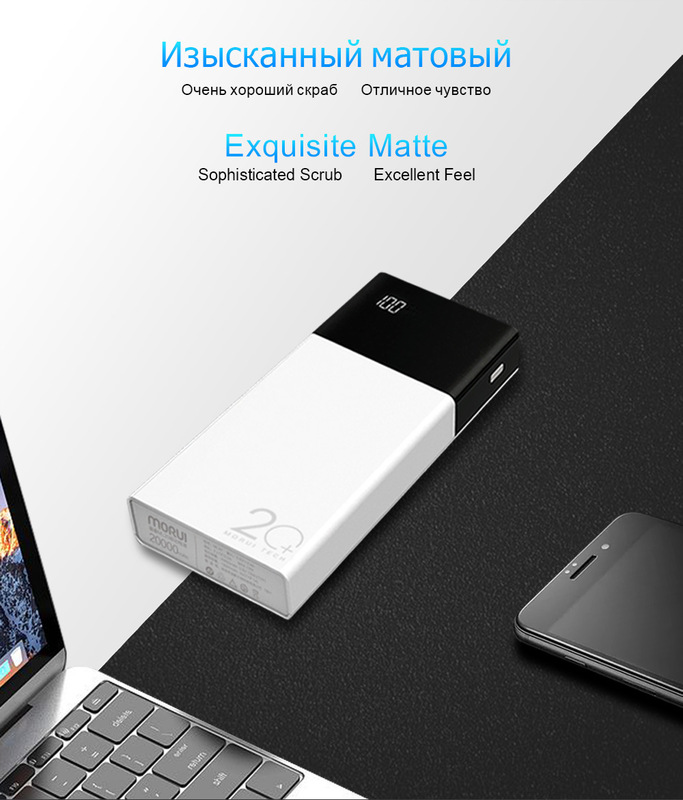 No need to make a guess at the remaining capacity any more. 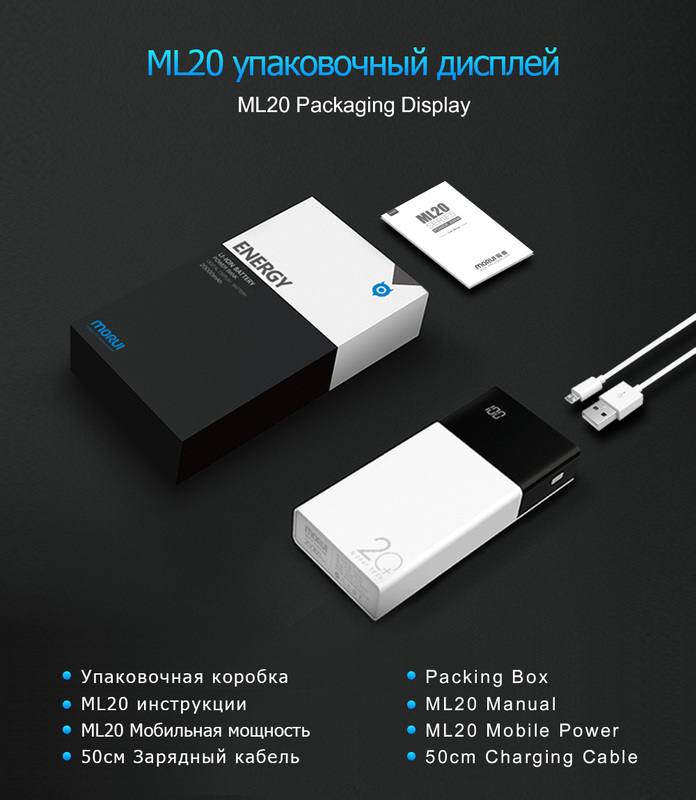 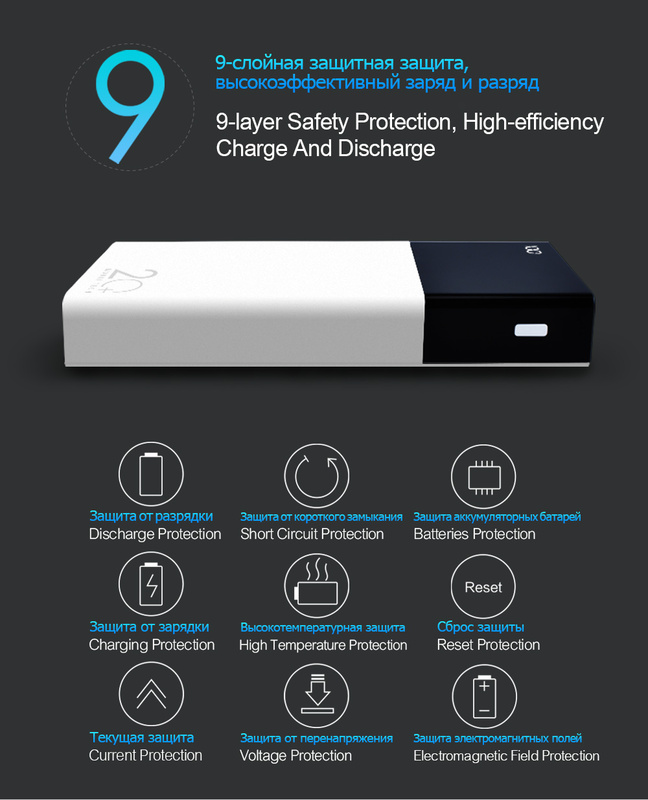 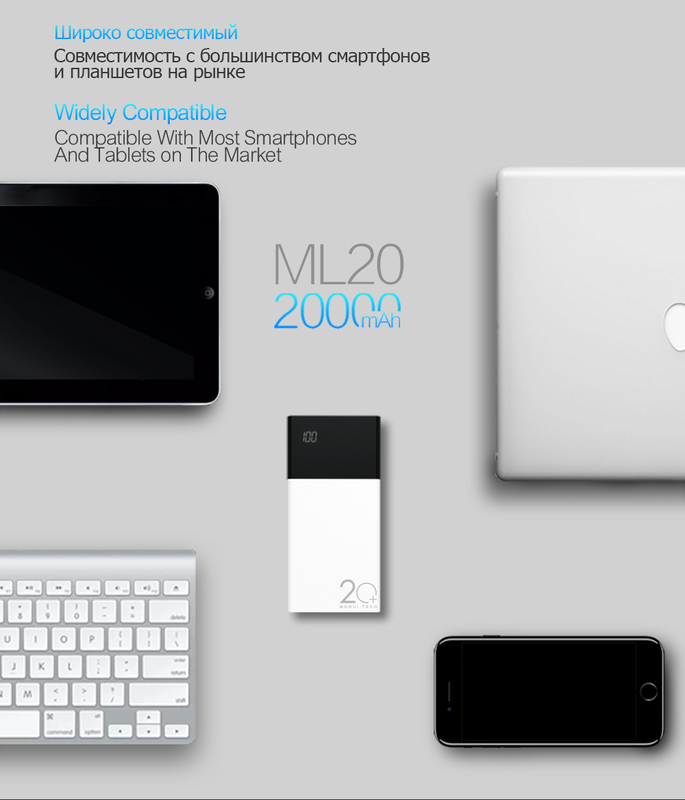 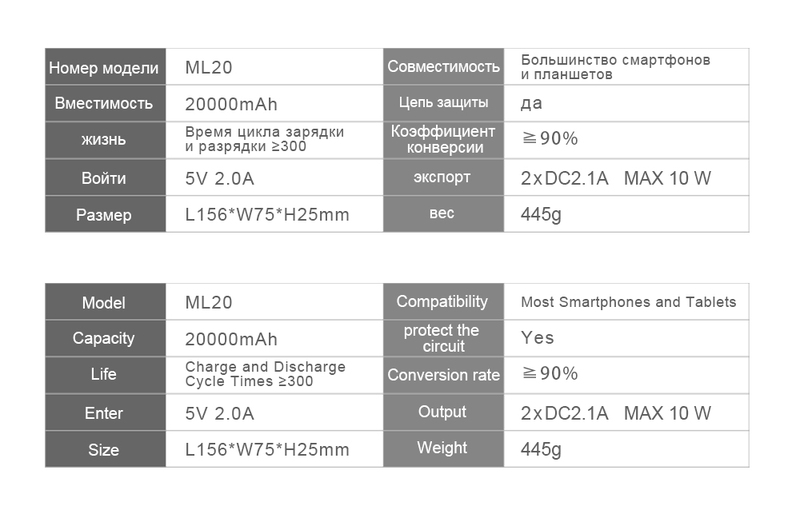 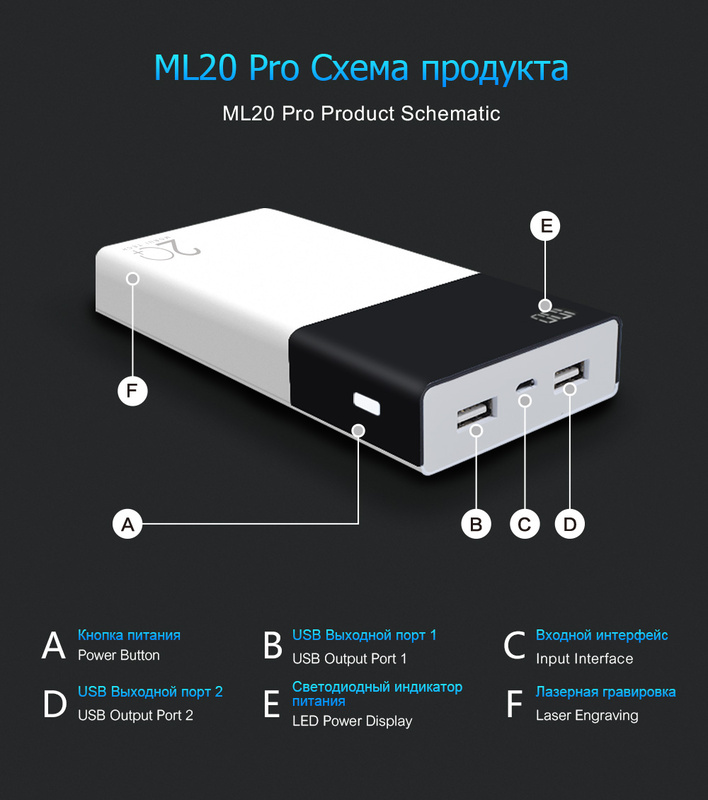 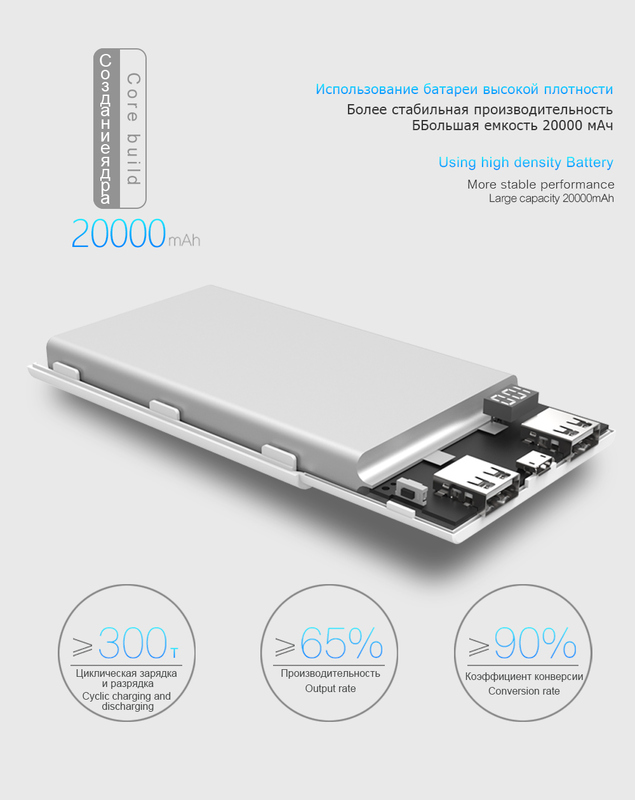 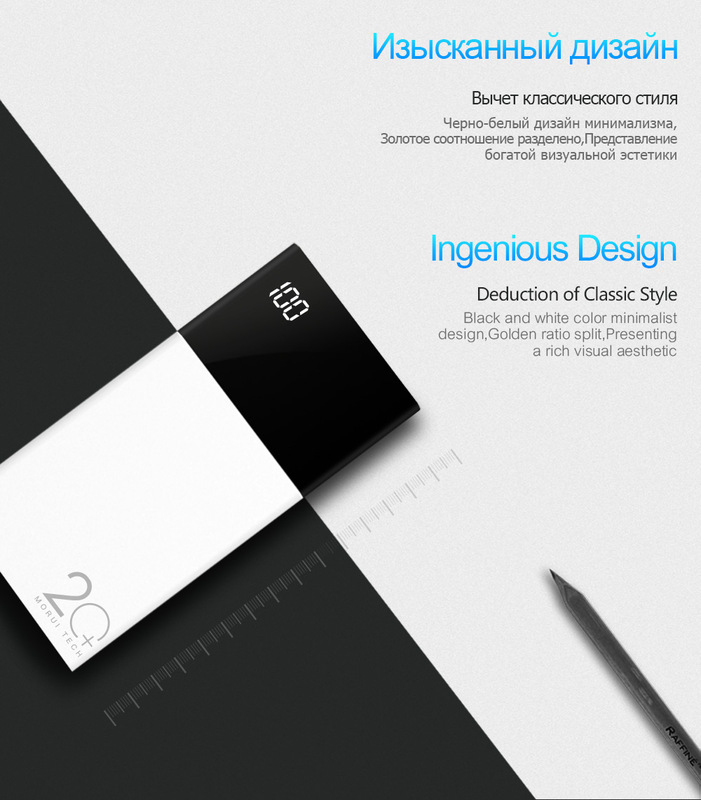 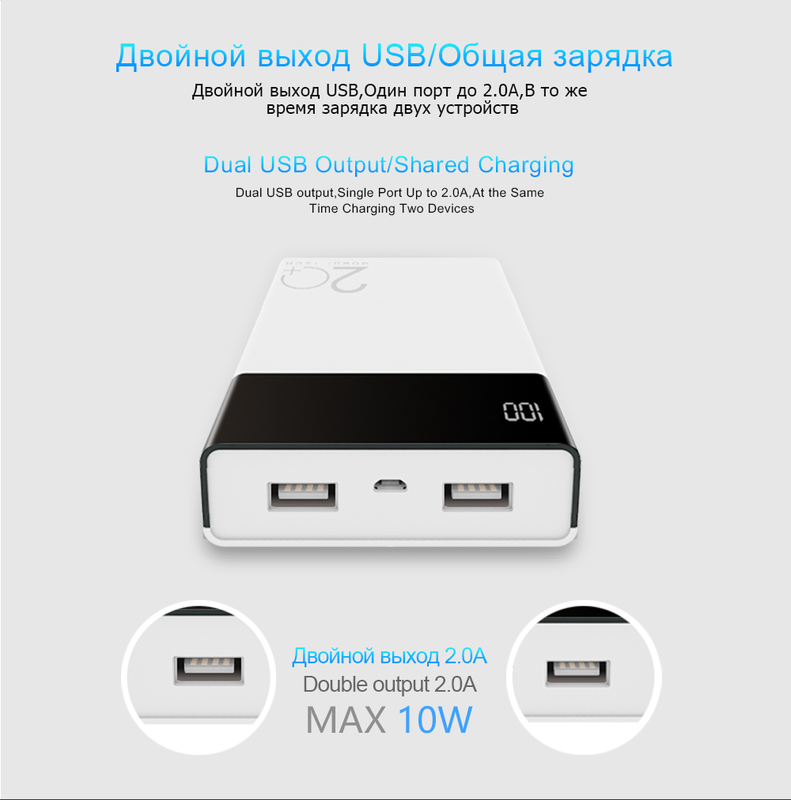 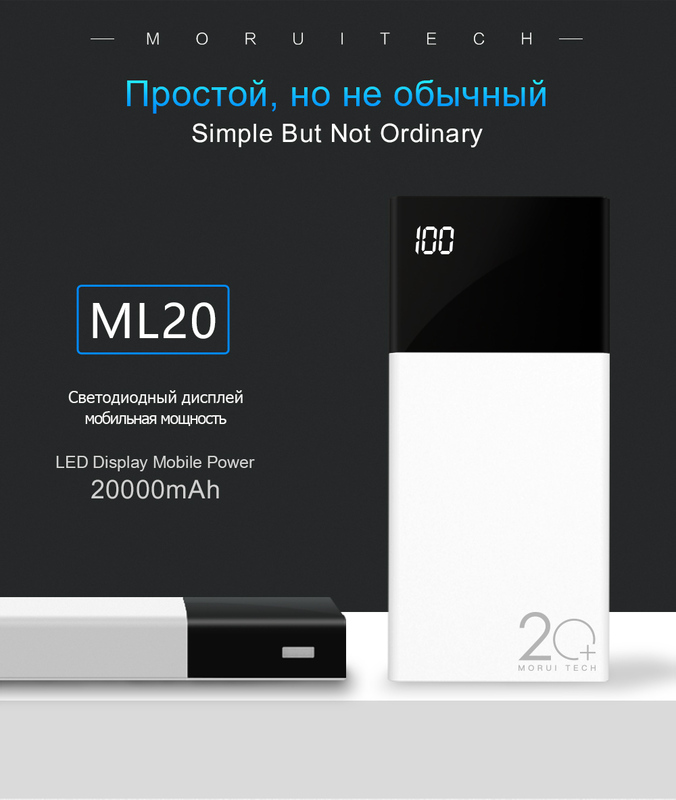 Unlike those dull power banks on the markets, Morui ML20 Power Bank stands out with white and black design, combining the LED screen function with the unique design.